My husband Jon said these words with a sense of awe as he held our four day old daughter, whom we’d just brought home from the hospital. “Well, of course you do.” I said, smiling at his bewilderment. And he was bewildered. 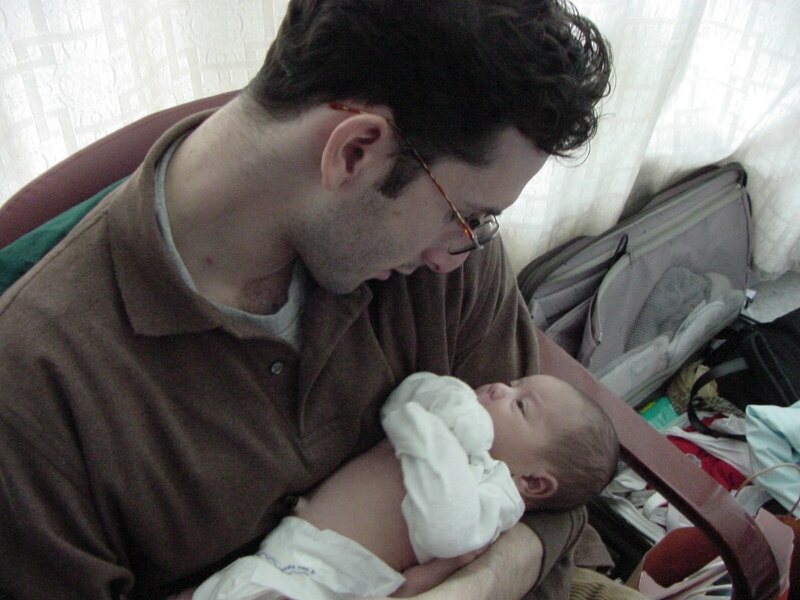 Jon knew intellectually that he would love our child when she came into the world. We had planned to have children from the get-go; both of us frequently speculating about “Junior and Juniorette” imagining what they would be like, what we would all do together. Jon got excited when we’d “visit” with the baby each time there was a sonogram. That was how it stopped feeling to him like just “my pregnancy” and evolved into “our child.” Having a kid was exciting. Or would be eventually. The thing was, what exactly did you do with a baby? Jon wondered. How was a guy supposed to fall in love with someone who just lies there and cries, nurses or sleeps (hopefully)? Jon was nervous about what it would mean to be the father of a newborn. It might take at least a few months to connect with our child, he figured, at least until she could smile. “I love her.” He was so startled and overwhelmed by the feeling, my eyes filled with tears too. And from that moment on, a powerful new identity took over my sweet, funny, loving husband. He was now Daddy. Which is how he frequently referred to himself, even before our little one could vocalize her first string of da-da-da-da’s. And two and a half years later, when my son was born, there was no surprise at all. When the doctor handed him to Jon, Theo rested peacefully in the gentle, adoring hands. “Daddy’s got you.” Since I had had two C-sections, Jon held both children before I was allowed to. As mother, I have always been very involved with my kids and their lives–some might say too involved (but that’s for another post). 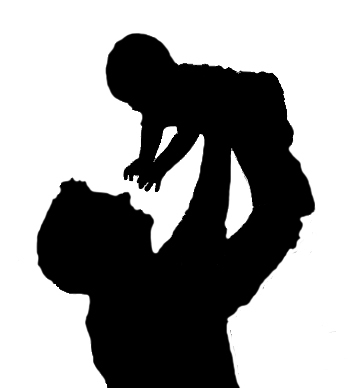 All along, Jon has been the best partner I could imagine on this journey of parenthood. 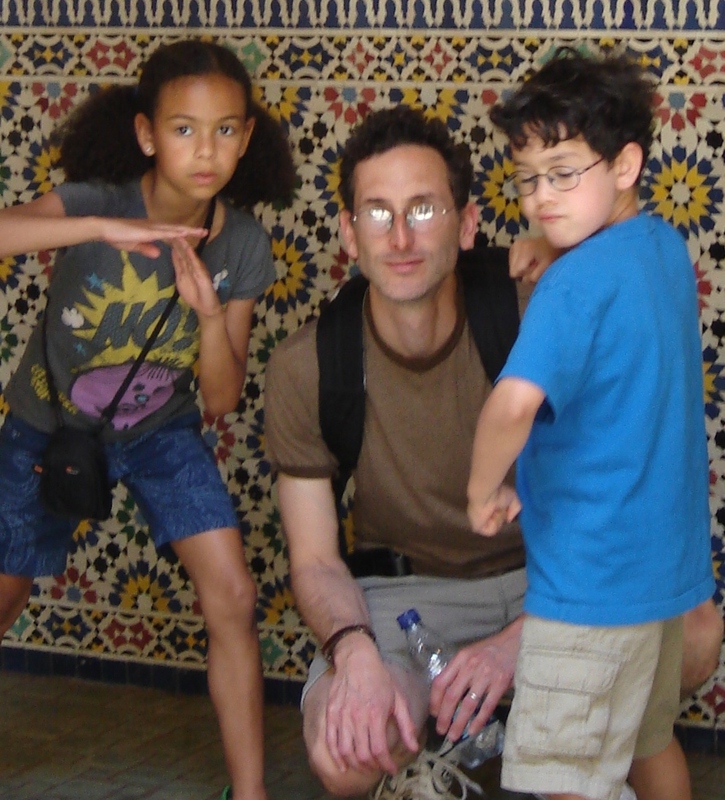 Today, I think my children are the luckiest kids in the world to have a dad like Jon: the perfect balance of smart, loving, silly and respectful. He teaches them complex board games, plays sports with them, reads to and with them, takes them on hikes, helps with homework, has high standards for them, but understands when they need to take a break and be a little wild. He knows our children so well: how they’ll react to things, what their strengths and weaknesses are, when to stand back and give them the space they need to grow. Best of all, my kids know how much he adores them, how special he thinks they are. His love will strengthen them and impact who they are throughout their lives.